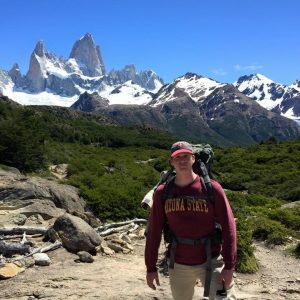 Tyler Sytsma has not one but two degrees from Arizona State University’s School of Sustainability — a bachelor’s degree and an Executive Master of Sustainability Leadership. 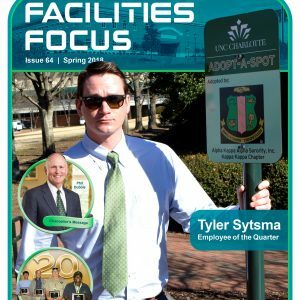 He graduated with his EMSL in January 2016 and quickly landed a job as a sustainability coordinator for the University of North Carolina at Charlotte. Sytsma answered a few questions for us about his journey in sustainability and his experience with the EMSL. Read his Q&A below. I had always had an appreciation for sustainability, even if I didn’t use that term for it growing up — whether it was spending my summers at our cabin in northern Minnesota and being surrounded by nature, or having the importance of recycling instilled in me as my parents had me sort the cans, cardboard and everything else in the freezing Minnesota winters. I didn’t know I wanted to study sustainability, though, until I took my first introductory course in it during my undergrad at ASU. After that, I switched majors and became an official sustainability student. Why did you choose to continue your sustainability education with the Executive Master of Sustainability Leadership? I knew that I wanted to continue my education in this field but had to find a program that allowed me to do this remotely while also balancing with my professional life. EMSL was the perfect fit! How did you balance your EMSL classes with your work life? Since the coursework went so hand-in-hand with what I was doing in my professional life, I was fortunately able to do some of it while on the clock. For the other parts that I did away from work, I would block out my time on my calendar so I would know that I had to work on something or comment on discussion board posts. My final project was something that I was actively developing for a client I was consulting for, and just as graduation was set to happen, Sierra Leone gave the green light to build the closed loop waste treatment facility that addressed several of the U.N.’s Sustainable Development Goals. That was a nice icing-on-the-cake moment. Can you tell us more about this project in Sierra Leone? The area had a major problem with sewage and not a clear way to take care of it, let alone make it useful. The MagneGas (company I consulted for) technology allowed the sewage to be passed through, get completely sterilized, and create highly productive agricultural bi-products product rich in phosphorus, nitrogen and potassium. In addition, a clean-burning gas is also created that is great for cooking with. This addressed the environmental issues with the untreated waste, helped stimulate crop production, provided a new non-import that would boost the government's self reliance, improved maternal health (much cleaner to cook with this gas than with wood or dung in poorly ventilated homes that are common there), and would help address the deforestation issue (for cooking, this gas now replaces that). Were there any particular classes or nuggets of information that really stuck with you or inspired you? To this day, I still keep a copy of Park Howell’s “What’s Your Story?” on my desk at work. Developing the ability to tell a compelling story that will lead people to action or appreciation for what is being done is a critical component of what I do at work. Breaking away from “death by PowerPoint.” Also, learning how to develop a team of supporters and create actionable timelines for what you are aiming to accomplish was a great skill to gain. How has the EMSL advanced your career/prepared you for your role at UNC Charlotte? When I took the job of sustainability coordinator at UNC Charlotte after graduation, my job description emphasized the communication aspect of it above all else, so everything Park Howell taught me in the EMSL course has been a great help in my professional life now. 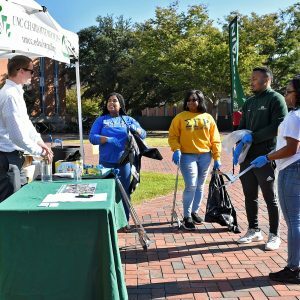 When I was hired, the sustainability office doubled in size from one to two people, so in addition to communicating sustainability to the 30,000 students and 5,000 staff/faculty, I needed to recruit or develop passionate supporters to help accomplish the goals we have as an office. EMSL gave me the tools to be able to go out and do this effectively. Moving towards a more utopian society. Wouldn’t it be nice if everyone had clean water, renewable energy, equal rights, alternative transportation options, and lived in a circular economy (plus a thousand other positive things)? It won’t happen overnight, but there are steps that can be taken in the right direction to get it started. You won’t experience a cohort like this anywhere else. As your class goes through the EMSL journey, you will get very knowledgeable and involved in your classmates’ education as well and actually care. There is a real bond that forms. We still communicate over our Facebook group and link up when we can. Can you say that about any other class where you have had to leave comments on another student’s Blackboard posts?